Wall painting is one way to give life to one’s home, especially kitchens. Have you found the perfect paint color for one of the busiest areas of your home? Not only do painted kitchens help brighten up your mood but they also provide an attractive alternative even without expensive furniture. While painting your kitchen walls can be tricky due to limited space and fixed fixtures, you can still incorporate the best combination to improve its visual appeal. Hiring the best house painters will help to determine the right methods to use and execute the job well. When we think of appetizing colors, red and yellow are up there among the top five. However, painting your kitchen with red doesn’t only hurt the eyes but may also stimulate a feeling of pessimism. 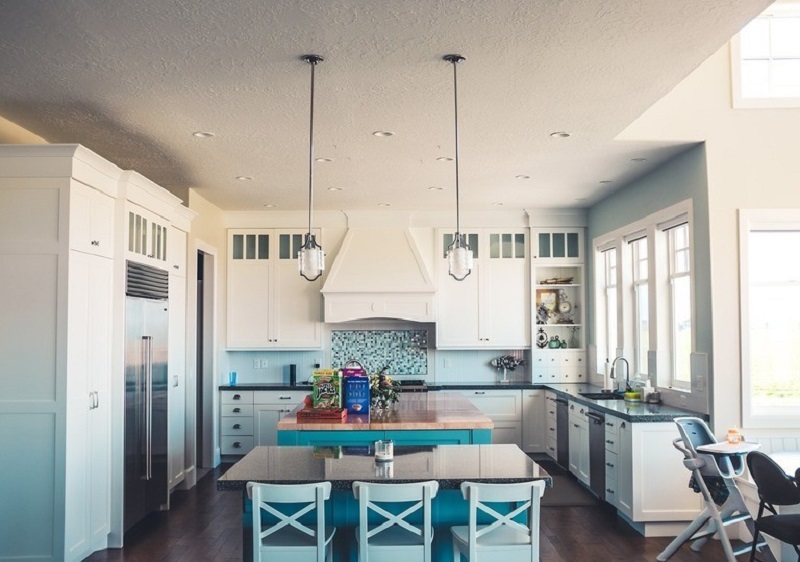 Whether you’re planning to move into a new house or restore an old kitchen, it’s crucial to determine what colors will suit your taste, budget and home decor. Do you prefer a lighter shade of green or blue for your walls or as accents? Does your preferred tone coincide with your existing interior design? 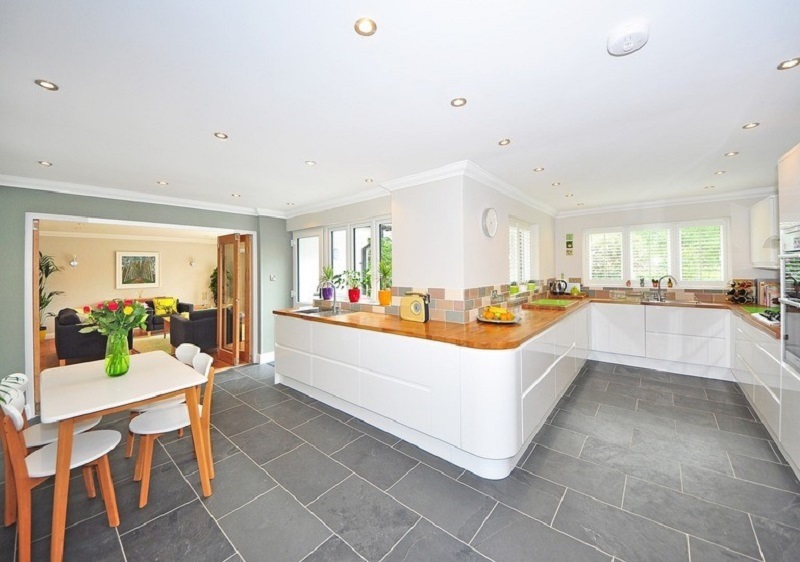 How much can you spend on your kitchen painting project? 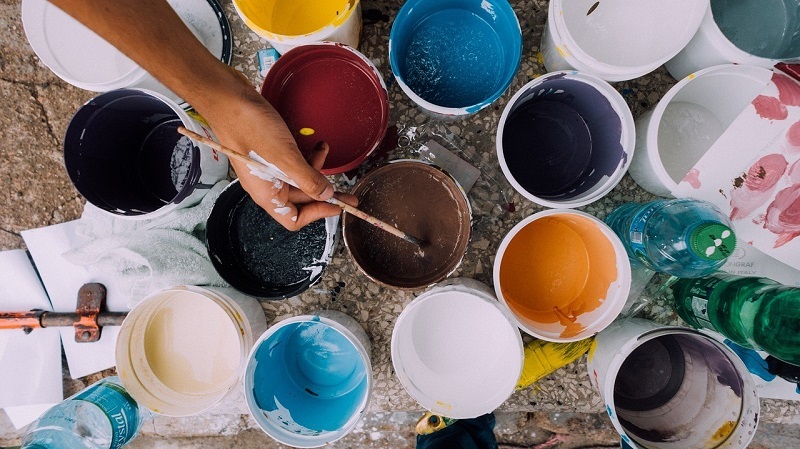 Will your painting ideas contribute to improving your kitchen life? Does the theme match your kitchen size and layout? If you’re thinking about bringing lovely blooms into your kitchen space, spring colors such as mint green and pale yellow are some life-giving hues that you can use. Professional painters can also suggest how you can incorporate these colors to help represent your home. Green creates a soothing ambiance, making you feel comfortable and refreshed just by looking at it. It’s associated with health and is one of the best kitchen paint colors to use. Mint green, along with other variations such as apple and sage green, stimulate an earthy and natural vibe. It also helps to add character to your kitchen space and create a statement. Combining it with white can bring more sunlight indoors. You may also leave the windows without curtains or drapes to help cure feelings of anxiety and gloom. Using this warm color is appropriate for kitchens that require sufficient outdoor lighting. Not only does yellow evoke the color of sunshine but it also promotes positivity, energy and happiness. Walls painted with pale yellow stimulates a soft glow and gives life to dark-shaded cabinets and countertops. Whether you prefer to use a lighter or a brighter tone, you can play with neutral colors such as gray to serve as beautiful and sophisticated accents. If you want a more unconventional paint color that creates a relaxing ambiance, you can go for pink. A combination of a bit darker and a lighter tone can work well if properly executed. Delicate pink exudes a soft and feminine charm that can be paired with retro-style cabinets and stainless steel countertops. You can also have patterned curtains to add a unique touch and make the place look more attractive. Nothing is more sun-inviting than having white-painted kitchen walls. Not only does it make the kitchen look cleaner and wider, but also allow homeowners to play with a variety of spring colors around the area. You can use a yellow or ornamented backsplash to make it distinct and highlight the beauty of white. Creamy white cabinets can also be utilized to create unique variants. Knowing what colors should be less prioritized is also important. If you want to help someone work out his weight loss program, blue is the way to go. According to research, blue makes a person lose his appetite. Using this color in bedroom walls and living rooms can work, but it may be best to consider other tones when it comes to painting your kitchen space. Using blue as accents is viable. It can be in your kitchen island, cabinets and other furniture pieces. If you want a minimalist approach, it’s good to use kitchen paint colors with white cabinets. It also makes the entire space simple yet professional-looking. While it’s good to follow a color trend, choosing the best color that corresponds with your needs and preferences is what matters. You can also refer to magazines to look for inspiration and help you decide what combination to use. Most importantly, ask a reliable designer and painter to guide you in bringing out the best in your kitchen space.